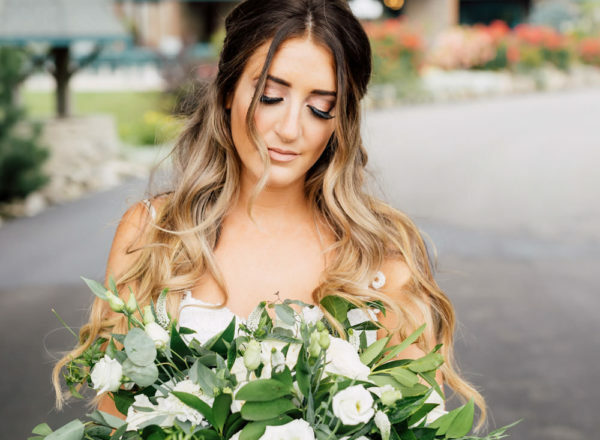 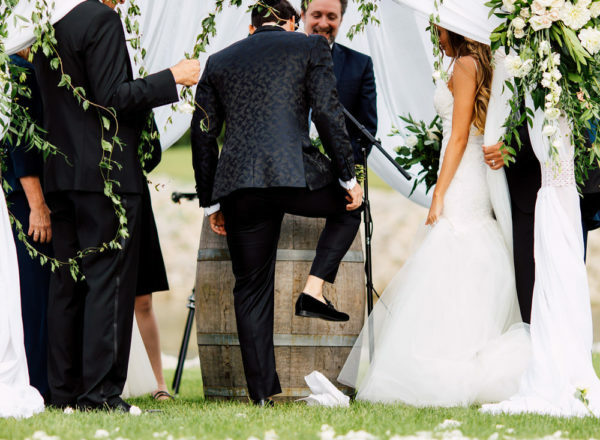 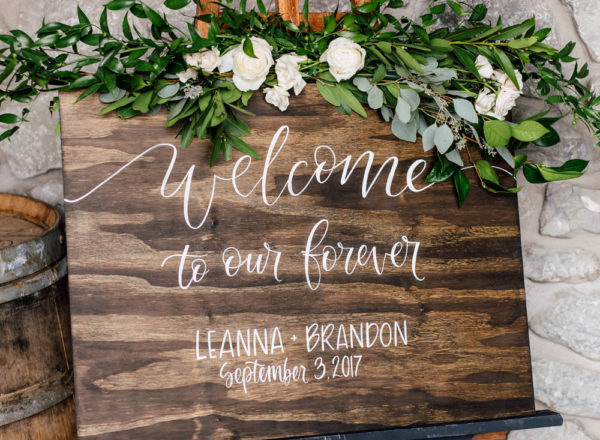 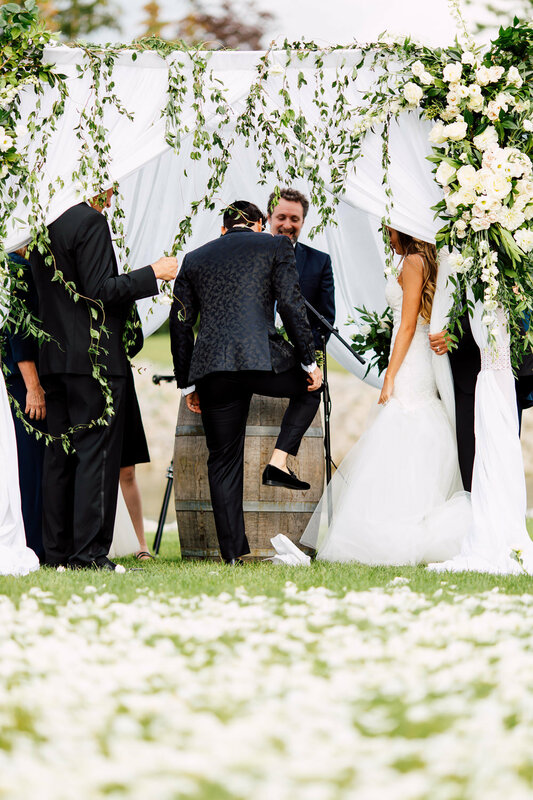 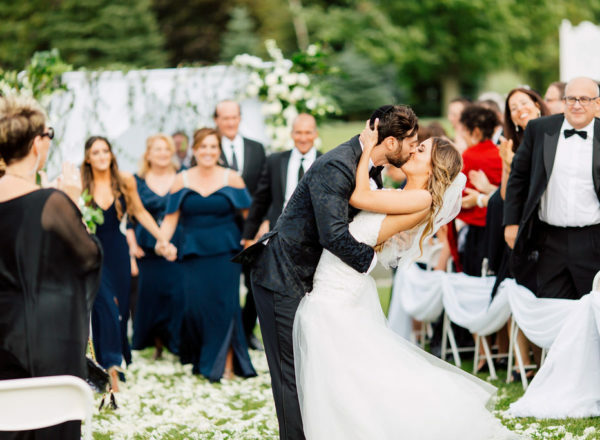 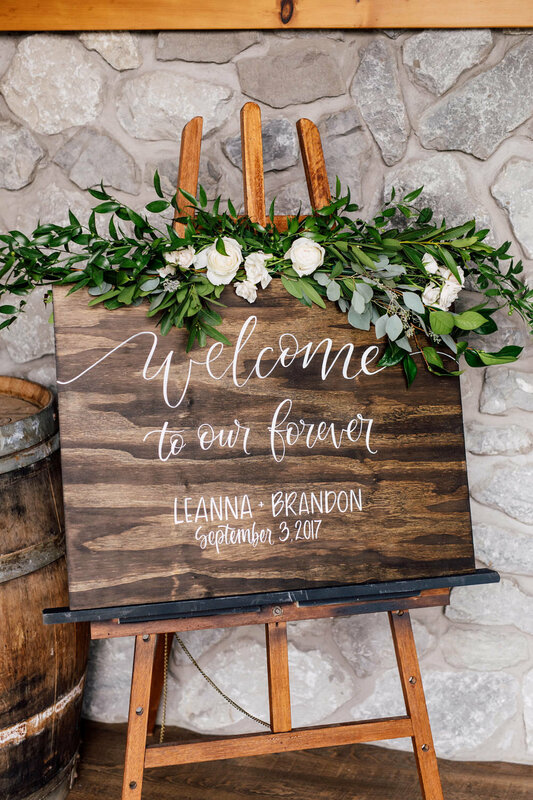 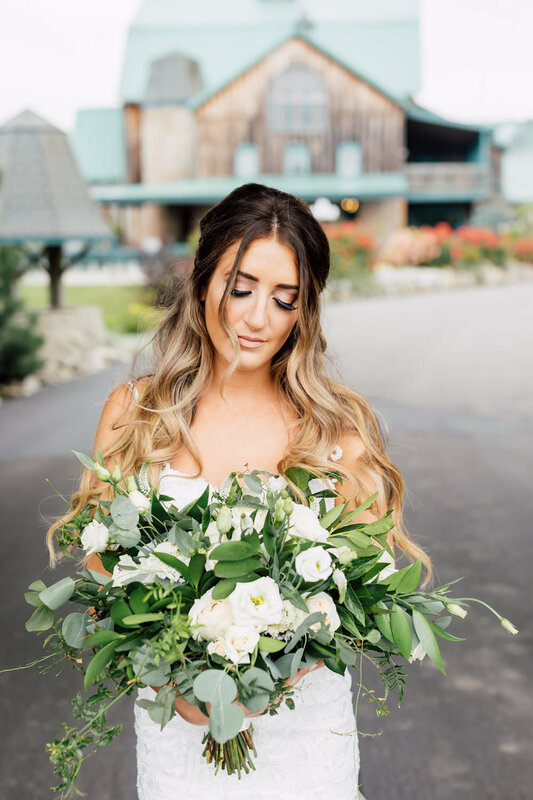 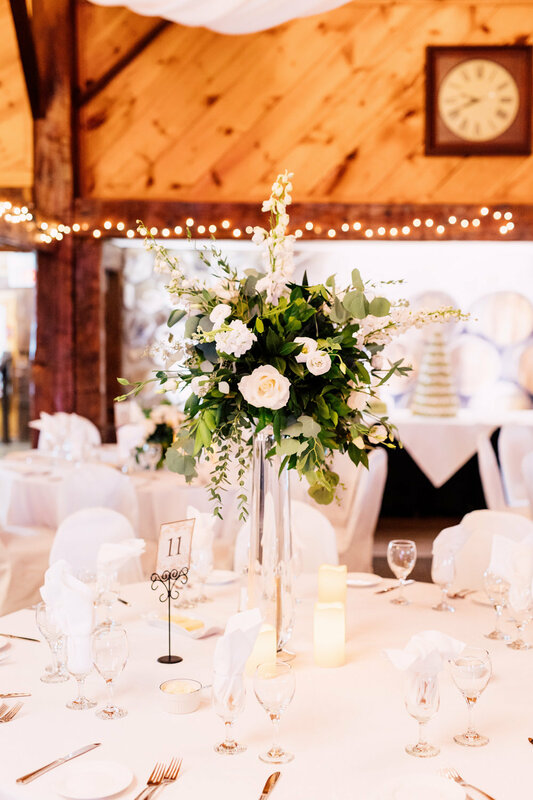 On a beautiful late summer day, Leanna and Brandon took their vows at the scenic Hernder Estates Winery. 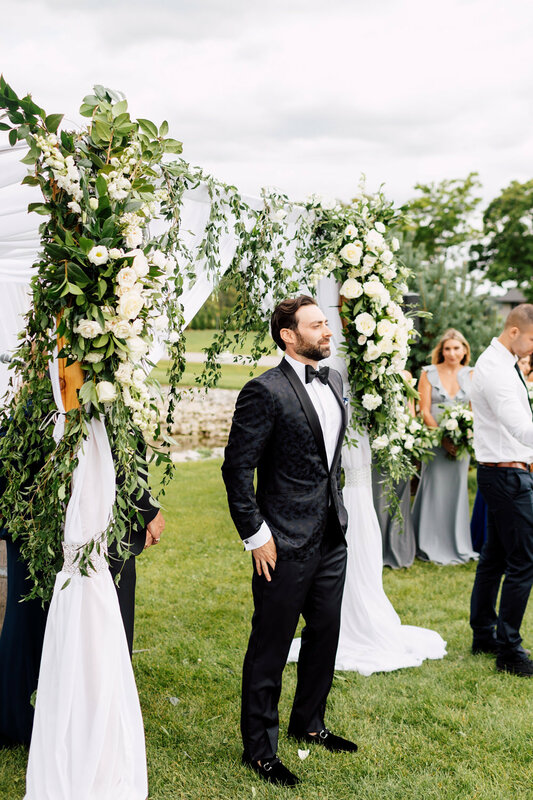 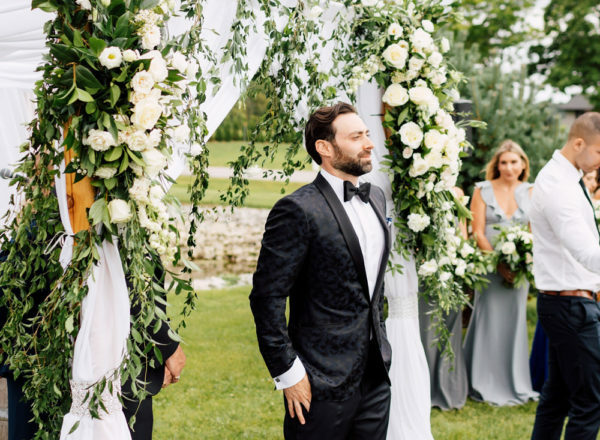 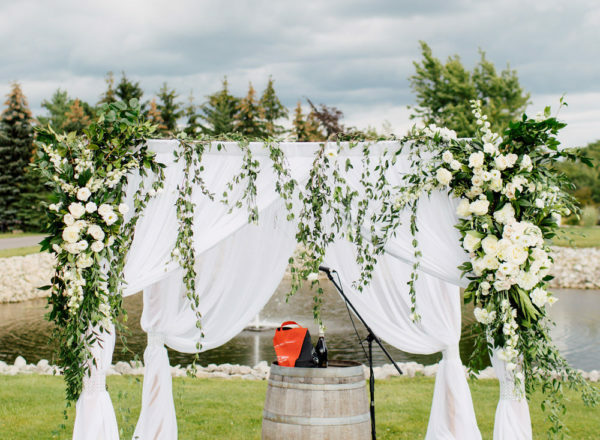 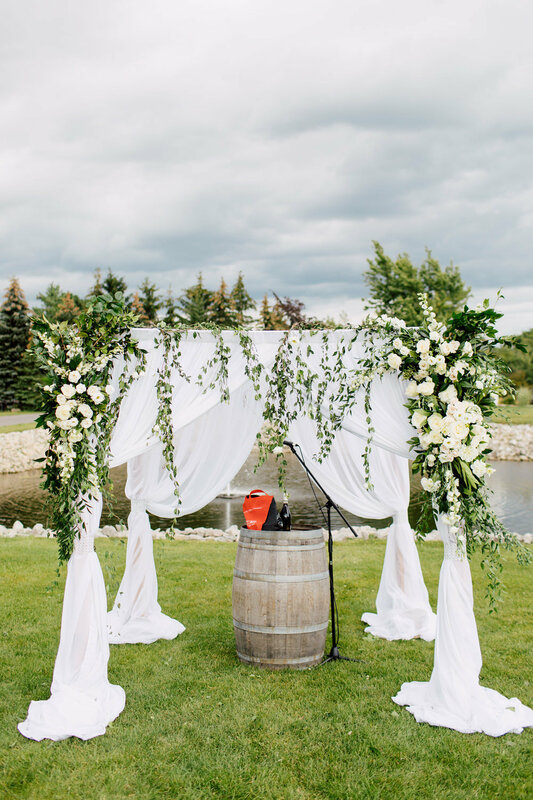 Outside by the tranquility of the pond, a beautiful Chuppah, draped with billowing white fabric, adorned with beautiful white blooms and trailing greenery Brandon watched his beautiful future wife walk on a sea of rose petals towards him carrying a whimsical bouquet of white. 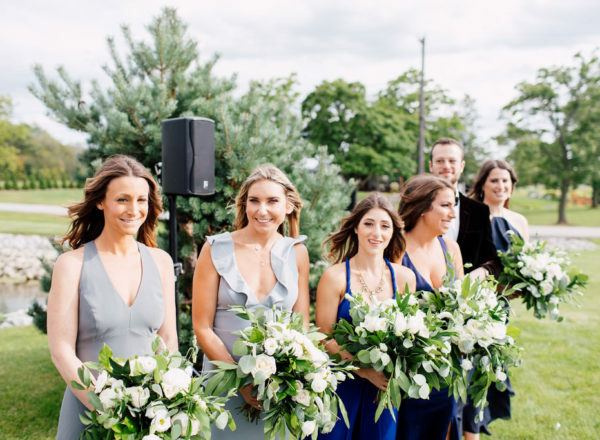 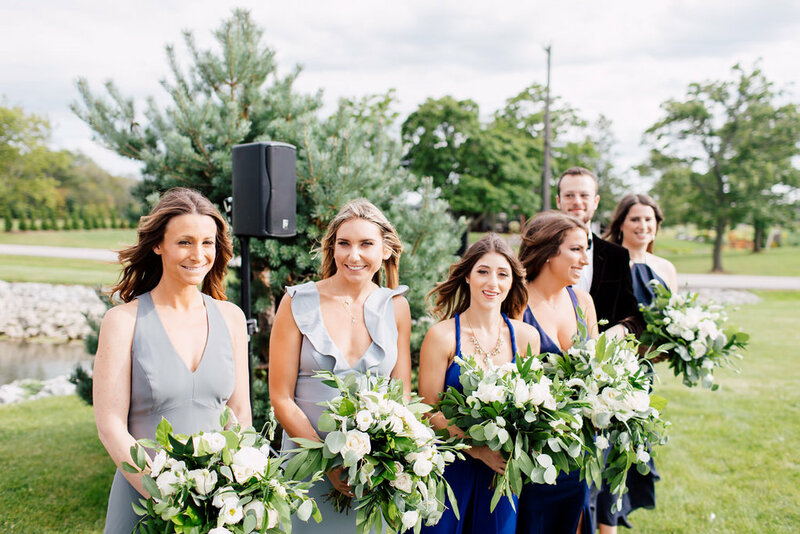 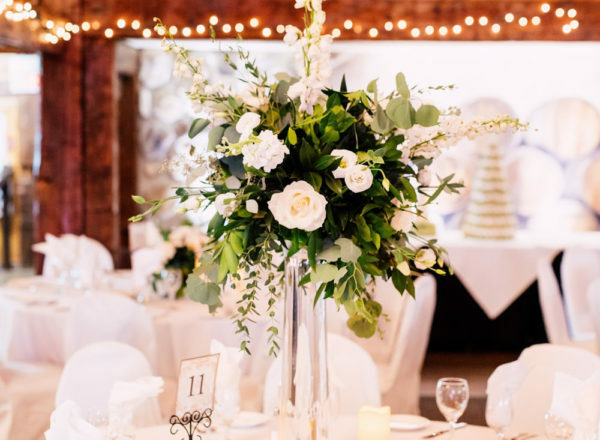 Inside, this couple chose a timeless mix of low and tall centerpieces, each created with lush trailing greenery and beautiful stems of white delphiniums, garden roses, fragrant stock and lisianthus on crisp white linens. 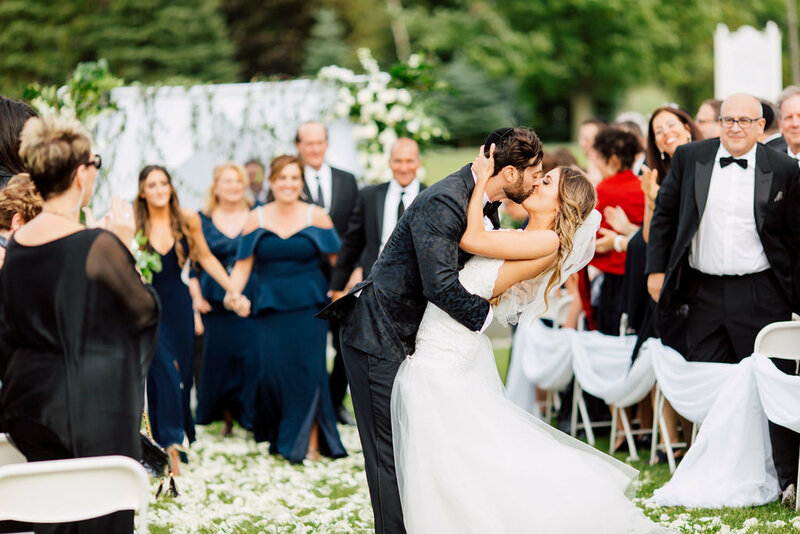 Our team was honored to create this beautiful day, and we wish them a lifetime of love and blessings.